It is my great pleasure to introduce myself as an alumnus of the Saitama University. 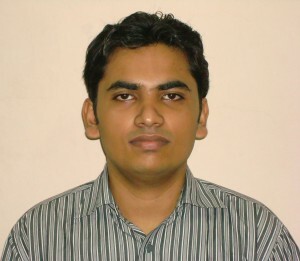 I was enrolled as master student in Department of Civil & Environmental Engineering from April, 2011 to March, 2013. I found warm attitude in my lab during my stay. I am also grateful to the officials of SU for their cordial support which solved many critical issues during my stay . I could not but control myself to give reason behind of coming to SU, Japan. When I was fourth grade bachelor student in Bangladesh, I always thought to get higher studies abroad specially in Japan. The motivation of my choice was to realize how the Japanese peoples live on with continuous natural disasters like earthquake, landslide etc. and how they overcome those obstacles. I want to amass new ideas, research themes and fundamental knowledge’s of civil engineering especially in geotechnical and earthquake engineering. Fortunately I had been selected as ADB-JSP scholar and got the opportunity to come to Japan. After coming to Japan in 2011 in a very adverse situation (just after one month of 2011 Great East Japan Earthquake), I came to realize the insight of their development and dedication to the work. I personally got so much benefit studying in Japan. My analytical ability as well as presentation skill developed considerably; I believe. Two years of research in Saidai helped me to feel some new ideas related to my research and I am now confident enough exploiting with those innovative thoughts. My research mainly focusses on real like soil – pipe interaction under fault rupture and numerical analysis was done to understand the interaction between soil and pipeline. We developed a coupled DEM-FEM simulation technique for the research works. Currently I am a PhD student at Yokohama National University under MEXT scholarship and my two years research in Saidai make my life in Yokohama more rational. My current research topic is now a key concern among the Japanese researchers. I am doing research on modeling of debris flow velocity owing to earthquake or intense rainfall. True speaking, my Japanese skill is not up to the mark yet. However, I am so lucky to have many Japanese friends including my lab members. I request to all new comers to explore their Japanese life even though you are not familiar with Japanese language. Trust me. Japanese peoples are very much Shinsetsu (kind)!!!! I always encourage other students from different parts of the world to take the opportunity to study in Japan; obviously I prefer to study at Saitama University.